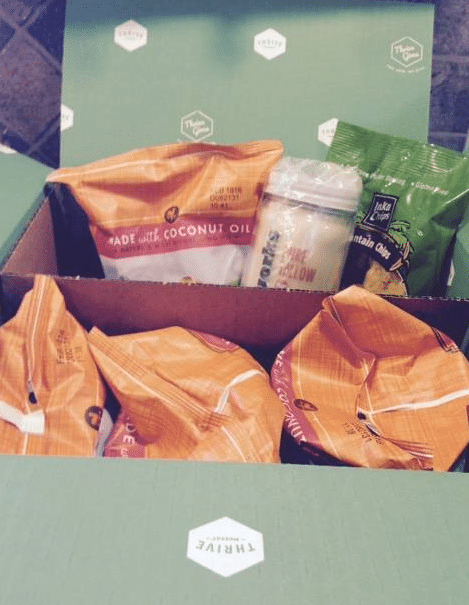 I finally tried out Thrive Market online! You’ve probably heard of them. They are an online natural and organic grocery retailer that sells natural and organic grocery and household products at a discount. 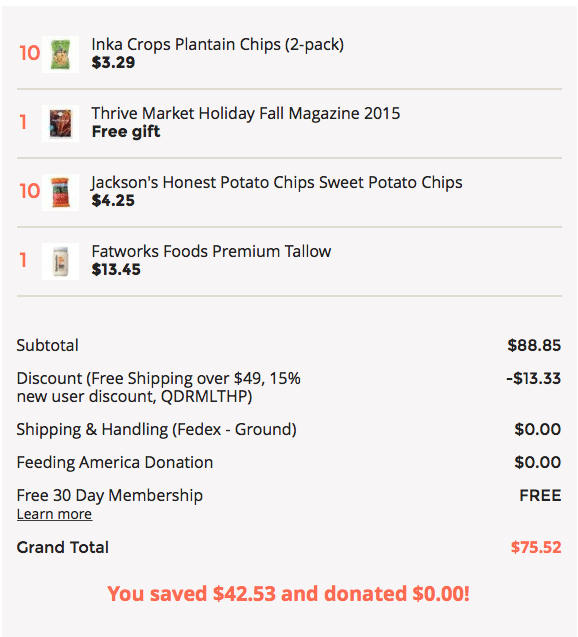 I was a little skeptical at first, as I’m a loyal Amazon Prime shopper and Whole Foods couponer. Because of the deals I can get through the Subscribe & Save Amazon program and Whole Foods deals with coupons, I figured there was no way they’d be cheaper. Even better, I received 15% off my entire order (which if you’re a first time customer, you can get also by going here) plus FREE shipping since my order was over $50! I also received a FREE 30-day trial. After the 30-days I can cancel, or purchase a year’s membership for $59.95 (Amazon charges $99 a year for Prime). Had I bought all of these items on Amazon, I would have spent $113, but by going through Thrive I paid $76, saving $37 on just one order! I’m so glad I did a comparison, as I was paying way more for these products on Amazon. I’m still a loyal Amazon shopper, but I’ll now compare prices before purchasing on either site. Amazon did beat Thrive on some products, so it’s always worth comparing. 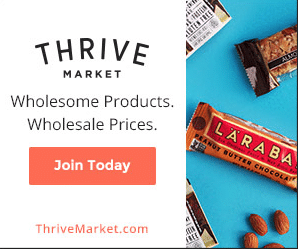 If you want to check out Thrive, just go here and you’ll receive 15% off your first order plus a FREE 30-day membership that you can cancel at any time.